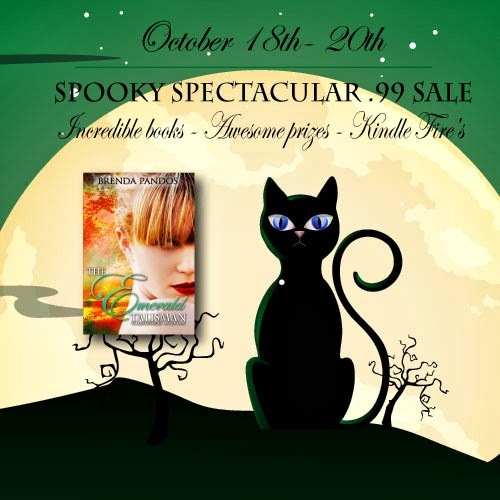 Brenda Pandos - Young Adult/New Adult Paranormal Romance Author: Spooky Spectacular .99 Book Event! Win a Kindle Fire! Spooky Spectacular .99 Book Event! Win a Kindle Fire! Welcome to the Spooky Spectacular Event! What's the prizes? $1,000 in prizes and tons of awesome giveaways. Kindle Fires anyone? Coach wristlets? You don't want to miss this event! Check out all the gorgeous books at the event's webpage. How do I enter for the cool prizes? RSVP HERE at the event's FB page to be automatically entered into the drawing for one of three Kindle Fires! Instructions for earning extra entries for the drawing will be there! Additional links to Rafflecopter entries for other giveaways will also be available as well.